|Buy One Get one FREE! Choose any 2 of the following treatments and get the cheapest FREE! Both treatments must be taken together and can be shared. |Buy One Get one HALF PRICE! Choose any 2 of the following treatments and get the cheapest HALF PRICE! From Lash Perfect, individual lash extensions are applied to your lashes to thicken and lengthen lasting up to 6 weeks, depending on the cycle of your natural lashes.You can maintain your lashes with 2-3 weekly top ups to keep them perfect. You can shower, swim and sleep problem free as they are waterproof and durable. 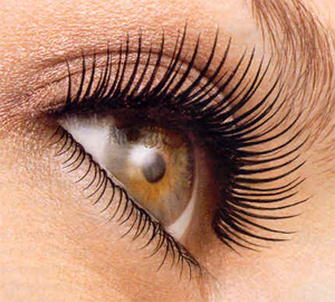 They are also have a natural curl so you can throw away your eyelash curlers. for the complete eyelash and eyebrow transformation! A quick instant tan, leaving you positively glowing for that special occasion. Now available in three shades: Bronze, Dark and new Ultra Dark. To get the best from your tan exfoliate and moisturise your skin at home the day before, this will get a better result and help your tan last longer. Before your treatment please remove all face and body make-up and bring dark, loose fitting clothes and sandals for after your treatment. 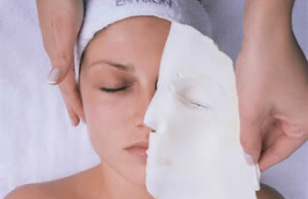 A one hour prescriptive facial tailored to achieve your best skin possible. Aromatherapy products are selected to deeply cleanse, gently exfoliate and prepare the skin ready to absorb aromatic massage oils and luxurious facial masques. Skin is left replenished, hydrated and protected. Ideal for dry, dull skin, this hour long treatment starts with an exfoliation to remove dry, rough skin, followed by a relaxing massage, leaving your body soft and radiant. Ideal to prepare your body for your holiday. ▪ Drys instantly so no more smudges. ▪ Gives added strength and protection to your nails. How many times have you left the salon and smudged your nails before you even got home, or gone to sleep that night and woken up with sheet marks on your toes? Say good bye to nicks, chips, smudges and drying time. Say hello to long lasting - up to 6 weeks, flawless, strong, mirror finish and zero drying time with. A complete treatment for your feet including foot scrub, hard skin removal, toe nails cut and filed, cuticle work, then a massage to freshen and relax your feet. Finished with gel soak off polish. 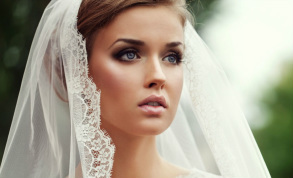 Eyelash Lift is one of the quickest ways to brighten and lift your entire face. It’s a revolutionary new way to create longer looking lashes without the need for lash extensions or curly perming techniques. 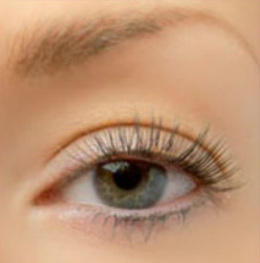 Eyelash Lift is a low-maintenance and long-lasting treatment and takes just 45 minutes. The results are immediately visible, adding length, volume and lift, plus your fabulous new look will last up to 6 weeks. A Heel Peel is an instant and pain-free treatment which removes the hard skin from all areas of your feet by melting away excess dry dead skin. Calluses form when skin dries out and the pressure of walking around a lot causes the skin to harden. During this treatment your feet are wrapped in a Heel Peel solution, which will literately melt your hard and callused skin, the dead skin is then scraped off, followed by foot filing to smooth away any remaining hard skin, then massaged. Leaving your feet moisturised, looking and feeling super smooth. 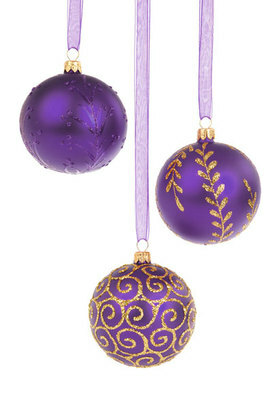 Ready for your party shoes! This 45 minute massage is great for relieving stress and tension in the muscles and joints of the head, face, neck and shoulders, helping with fatigue, insomnia, headaches, migraine and sinusitis. The experience is deeply calming, leaving you feeling energised, revitalised and better able to concentrate. 40 minute Eye Contour Treatment - targeting the delicate eye area is a highly effective treatment combines the benefits of drainage and gentle stimulation together with Decleor products. Beginning with a gentle eye cleanse to remove all traces of make-up and a light exfoliation. Gentle pressure point and drainage massage reduces the appearance of lines. puffiness and dark circles helping to restore radiance. A cooling & refreshing mask to help with hydration & dark circle. The treatment is finished with a total eye care cream to leave eyes bright & alive. Eye lash tint - will darken your lashes and widen and open your eyes to give a youthful appearance that lasts four to six weeks. A patch test is required 24hrs prior to tinting, clients are advised that contact lenses must be removed. This one hour massage is the perfect antidote to a stressful lifestyle, using essential oils prescribed to your needs to ease away tension and fatigue, bringing about total relaxation. The relaxing and calming massage will increase blood circulation, ease away tension, relieve stress, help with muscle pain, strengthen the nervous system, restore lost energy as well as focus on any particular issue you may have using a specific essential oil that’s best for you. After the treatment you will feel relaxed, refreshed and with a deep sense of calm and wellbeing. And choose any of the following treatments for HALF PRICE! A super hydrating facial that will saturate your skin with moisture, to help prepare it for sun exposure. This 1 hour facial incorporates exfoliation to remove dead skin cells, hydrating mist to replace lost moisture, a relaxing massage with Decleor oils and balms, a soothing mask and finishing with Decleors self tanning cream to give your complexion a sun kissed glow. 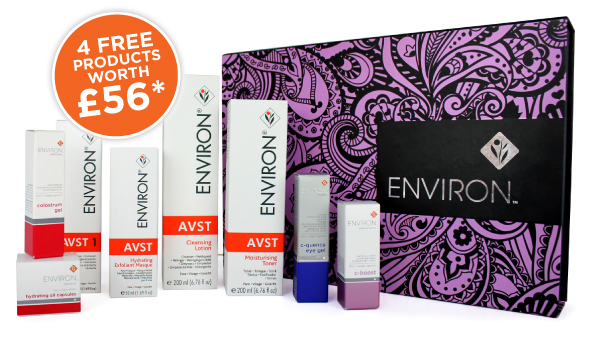 Don’t miss your chance to try the Environ facial treatment for only £10! At this special event an expert from Environ will analyse your skin using powerful imaging equipment and then perform a 30min peel designed to stimulate your skins cells. Each session lasts around 1 hour, numbers are limited so book today. A £10 booking fee is required but is redeemable against purchase on the day. 1 hour Vital Eye Treatment - an anti-ageing eye treatment bringing you the combined efforts of DECLEOR and PERFECTOR to lift muscles, reduce deep lines, wrinkles and puffiness in this delicate area. 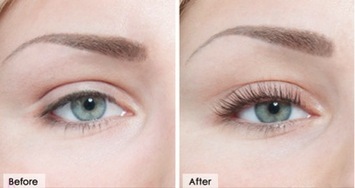 Eyebrow Shape & Tint - to define your eyebrows giving the results of an instant brow lift. Book the perfect antidote to dry, lackluster skin, this 90 minute facial uses Hyaluronic Acid to add plumpness to your skin resulting in reduced fine lines caused by dehydration . 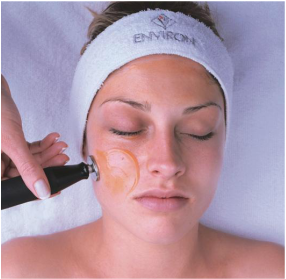 Harpers Bazaar rated the Environ Hydraboost Facial as one of their favourite facials! The journalist who tried it said that it left her skin fresher, healthier and plumper. This is a relaxing massage concentrating on the back, neck and shoulder muscles. The treatment is designed to relax and ease tension in the areas of the body where muscle problems most often occur. During the massage, acupressure is applied up both sides of the spine and along the lower back, moving up towards the shoulders and neck. This massage relieves stress build up for anyone whose upper back and neck holds a lot of tension, whether from lifestyle or abuse of computers! The massage is suitable to anyone who wants to relieve stress or complaints in the back, neck and shoulder areas in particular. It will help to combat the stress of every day life. 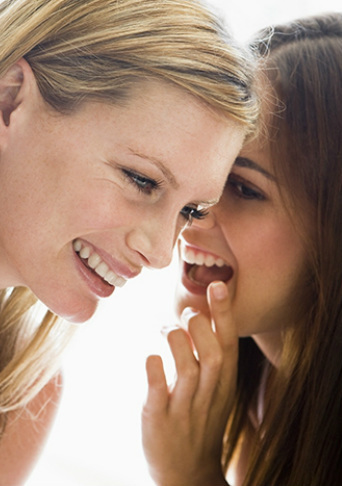 FREE consultation worth £15 PLUS 50% off you first treatment or 50% off a course of 6! A 1 hour multi-vitamin treatment tailored to your skin type, giving a "natural beauty booster" rejuvenating your skin. Comforts, nourishes and relaxes with 100% natural flax, wheat germ & sunflower seeds. Are you bored with your old make-up, want a new look or don’t wear make-up because you don’t know how to apply it? Then a New CID makeover,can work miracles boosting your self esteem, showing you how good you can look. Or FREE when you purchase 3 products! 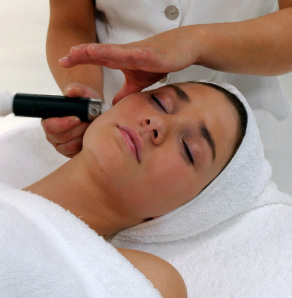 ​Using advanced electrolysis to visibly remove veins and skin tags. Guarantees a loss of between 5-15 inches! Using Aloe Vera , the wrap helps to eliminate acid waste and toxins, smooth cellulite and soften stretch marks. This creamy vitamin E enriched formulation of i-pout gives lasting wear in eight classic shades, suitable for all skin tones. Featuring built-in lights and mirror, you can apply i-pout anytime, anywhere. 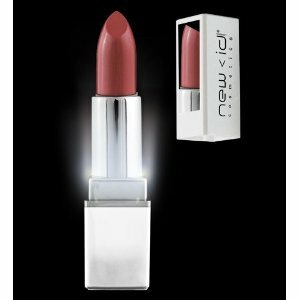 Has a gel formulation for a lightweight, cushioning effect on the lips, giving a non-sticky, high-glam shine that really lasts. Featuring built-in lights and mirror, you can apply i - gloss anytime, anywhere. Smoky eye pencil and shadow to create the perfect smoky eyes. As we grow older our facial muscles naturally start to lose tone and elasticity. 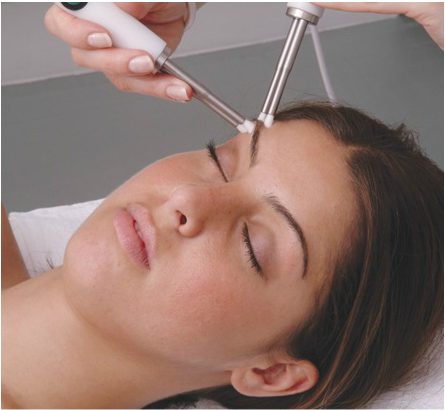 Low frequency micro-current stimulates and re-educates muscles to improve skin tone. 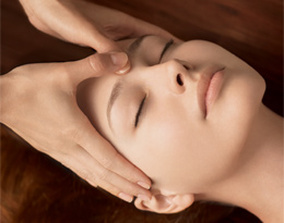 This facial will reshape your face instantly lifting sagging muscles, reducing lines and wrinkles, smoothing your skin. A relaxing, safe and painless way to delay ageing. This 40 minute treatment targeting the delicate eye area is a highly effective treatment combines the benefits of drainage and gentle stimulation together with Decleor products. Beginning with a gentle eye cleanse to remove all traces of make-up and a light exfoliation. Gentle pressure point and drainage massage reduces the appearance of lines. puffiness and dark circles helping to restore radiance. A cooling & refreshing mask to help with hydration & dark circle. The treatment is finished with a total eye care cream to leave eyes bright & alive. "The Island" by Victoria Hislop, very cleverly written and very emotional. I love doing nails, especially hard gel, I like to see the difference it makes and love getting creative. Deep fried Camembert with cranberry sauce, steak for main and Eton mess for pudding! Either my lipstick (pomegranate) or lip gloss (tickled pink) both New CID, I can't leave the house without it! Kelly Brook, she's beautiful and has the most amazing figure, I'd love to look like her! Can't live without beauty product? Can't decide between C Quence Eye Gel or AVST moisturise (both Environ). I can't get out of bed in the morning without either! "In the Arms of Angles" by Sarah McLaughlin, the words are so beautiful. How many times have you left the salon and smudged your nails before you even got home, or gone to sleep that night and woken up with sheet marks on your fingers or toes? 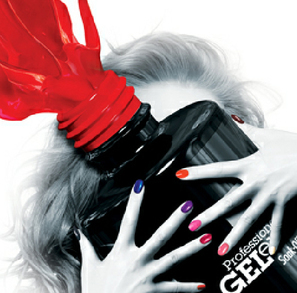 That can all end with Geleration Gel Polish - the long lasting manicure. ~ Say good bye to nicks, chips, smudges and drying time. ~ Say hello to long lasting - up to 3 weeks, strong, mirror finish and zero drying time. 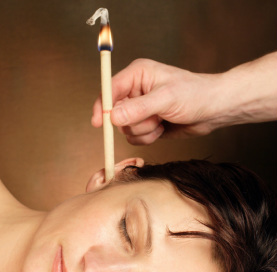 Light suction is formed drawing impurities from within the ear. the rising air gives the ear drum a gentle massage helping to regulate ear pressure. Helpful for earache, tinnitus, sinusitis and tension headaches. 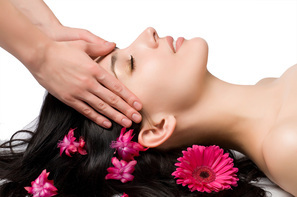 Includes a pressure point and drainage facial massage. and get the cheapest ½ PRICE! A quick instant tan, leaving you glowing for that special occasion. A multi-vitamin treatment tailored to your skin type, rejuvenating your skin. The beauty of Jessica colour with the strength of gel. That can all end with Geleration. A complete treatment for your feet including foot scrub, hard skin removal, toe nails cut and filed, cuticle work, then a massage to freshen and relax your feet. Finished with geleration soak off polish. This 45mins hand treatment works to restore the youthful appearance to your hands by gently removing dead skin cells. The Diamond Peel treatment is followed by a hydrating mask and then finishes with a luxury massage, resulting in instantly smoother, softer hands. Why not add to your infills or geleration appointment to have the ultimate hand treatment! A super hydrating facial that will saturate your skin with moisture, to help repair it before and after sun exposure. This 1 hour facial incorporates ex foliation to remove dead skin cells, hydrating mist to replace lost moisture, a relaxing massage with Decleor oils and balms, a soothing mask and finishing with Decleor's self tanning cream to give your complexion a sun kissed glow. Why not add the Heel Peel treatment for an extra £10 and have the Ultimate Foot Treatment. Luxury Foot Massage + Heel Peel ONLY £28.00! AVST (any level), AVST Cleansing Lotion, AVST Moisturising Toner, C-Quence Eye Gel. That can all end with Jessica Gel Polish with the beauty of Jessica colour goes on like a varnish yet sets as a gel with the strength of gel - the long lasting manicure. ~ Say hello to long lasting - up to 3 weeks, flawless, strong, mirror finish and zero drying time with. A revolutionary treatment hailed as an alternative to cosmetic surgery. Using low frequency micro-current to stimulate your muscles to reshapes your face instantly lifting sagging muscles, reducing lines & wrinkles smoothing your skin. A relaxing way to delay ageing. Perfector is a CACI equivalent. An evening with top makeup artist from New CID Cosmetics, who will show you the latest trends and tricks of the trade, including smoky eyes for the party season. Tickets £5*, includes a glass of wine and nibbles. Only 15 places so book now! New CID Cosmetics i-tint Tinted Moisturiser SPF15 is a lightweight fluid tinted moisturiser that gives a smooth sheer coverage. The luminous formulation comes in four perfect shades and gives the skin a glow from within whilst nourishing and protecting with a sun protection factor of 15, perfect for those no make-up, make-up days. FREE cleaning solution worth £23! 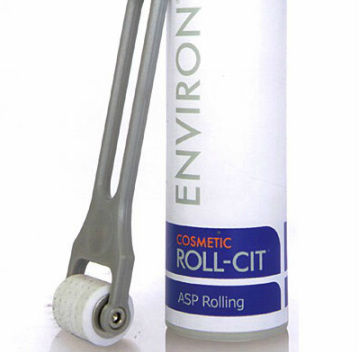 Environ Cosmetic Roll CIT is the latest breakthrough in skin care treatments, allowing for improved penetration of vitamins into the skin layer. The Cosmetic Roll-Cit consists of "micro-needles" that puncture the horny layer of the epidermis. Once breached, the active ingredients can reach into the depths of the skin about 10,000 times more effectively than by simply applying the products topically. The higher the levels of vitamin A and vitamin C that can penetrate into the lower layers of the epidermis, the more collagen can be made. Therefore allowing natural collagenesis to occur. The Cosmetic Roll CIT help restores skin tightness, smooth fine lines, reduces pigmentation, thickens thin skin, softens scars and reduces dilated blood vessels. 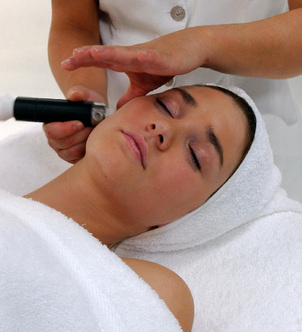 Skin needling is not painful, does not damage the skin and can be used on all areas of the body. the complete treatment for your eyebrows, incorporating shaping, waxing, tweezering, tinting and penciling, to transform your eyebrows, including an New CID Cosmetics i-groom pencil to keep your eyebrows perfect. The complete treatment for your eyebrows. MYscara is a semi permanent mascara, that is applied to the top and bottom lashes, adding length, volume and curl to your lashes, to provide the look of mascara that lasts up 3 weeks. It is waterproof so you never have to worry about panda eyes! After 3 weeks, you can have any residue product removed and a fresh application applied, to last for weeks again!! MYscara is great for the busy women with busy lifestyles. 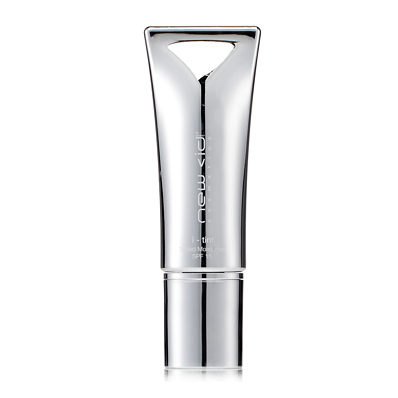 ~ Say hello to long lasting - up to 3 weeks, flawless, strong, mirror finish and zero drying time. This multi-award winning facial is power-packed with vitamins and anti-oxidants. Stress simply melts away thanks to the deeply relaxing massage techniques and the ideal rebalancing aromatic oils for your complexion. Our deliciously warm and decongesting mask softly cocoons your skin. Skin is left deep cleansed, replenished and glowing with vitality. When you purchase an AVST Moisturiser, AVST Cleansing Lotion and AVST Toner. These products will help to repair and protect your skin preparing it for summer. 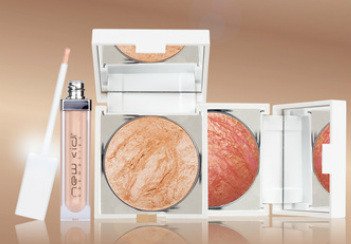 These marbelised glow powders are the perfect 'pick me up' for the skin. Using our famous baked formulation for easy, silky smooth application, i - glow has light reflective pigments for mimicking your skins natural radiance. Some of the shades make really lovely blushers as well. Introduce someone new to us and not only will they receive *25% off their first visit, but, as a thank you to you, we’ll also email you a *20% off voucher for your next visit! All you have to do is fill in you and your friends details below. 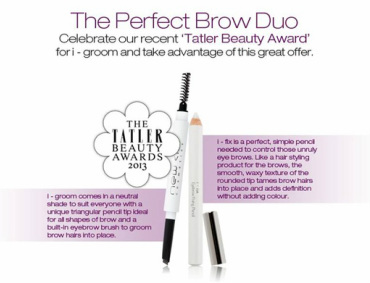 i - groom, winner of the "Tatler Beauty Awards 2013" comes in a neutral shade to suit everyone with a unique triangular pencil tip ideal for all shapes of brow and a built-in eyebrow brush to groom brow hairs into place. i - fix is a perfect, simple pencil needed to control those unruly eye brows. Like a hair styling product for the brows, the smooth, waxy texture of the rounded tip tames brow hairs into place and adds definition without adding colour. Then why not book a New CID Cosmetic makeover, where we show you how to select and apply the right colours and products to get the best look that’s right for you. or FREE when you purchase 3 or more New CID cosmetics. An evening with top makeup artist from New CID Cosmetics, who will show you the latest trends and tricks of the trade. Including a glass of wine and nibbles. Only 20 places, tickets only £5 which is redeemable against any New CID Cosmetics. This is the most advanced treatment for maintaining a balanced healthy complexion. It deep-cleanses, refines the skin and stimulates cellular renewal. In this luxury hour long treatment your skin is gently cleansed and toned then incorporated into this relaxing routine are three micro-current stages, results are outstanding and will detoxify the skin, refine the pores and firm, then ionise nourishing products into your skin. 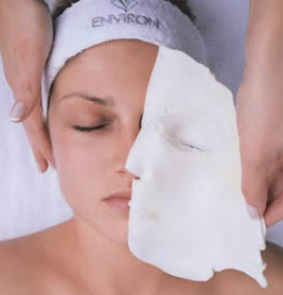 A revitalising mask is applied and then finishes with a relaxing face neck and shoulder massage. This skin refining treatment will leave your skin smooth, tightened and refined resulting in a brighter complexion. Luxury Manicure £24.00 - treating your nails, cuticles, hand massage and varnish, including heated mitts to nourish dry hand and help stiff joints. Luxury Pedicure £27.50 - a complete treatment for your feet, including heated bootees to revitalise tired feet, so take the weight off your feet and enjoy!